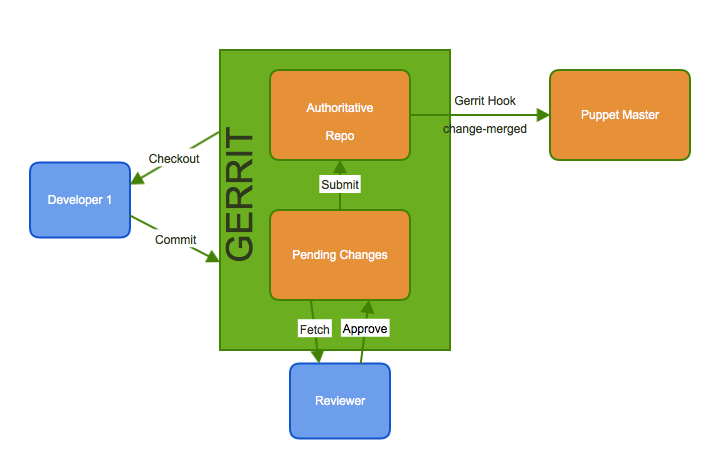 Git is more than just an awesome, decentralized version control system (VCS) – it can also drive lots of useful automation by triggering actions to deploy infrastructure and services based on event and commit-based hooks. You can drive a lot of complex automation with this functionality but I’m going to provide you with a simple example using a Git repo to push web content to a remote webserver. update – very similiar to pre-receive except it’s run per git branch. post-receive – scripts that can be run after a push is accepted and merged, this is where we will focus our examples. Useful examples might be to send an email, copy or perform some action or send a notification to IRC or other medium. In this example I’ll show you how to manage static web content via Git post-receive hooks. For our example we will need a testing VM or server which we’ll call host-01, we’ll assume you already have something like this already. First we’ll create a remote Git repo on the server. The following commands should be run as root on your remote server – we’ll refer to that as host-01. | passwd repouser --stdin && echo "password is $repouserpass"
This user will host our Git repo accessible over SSH. Now you’ll want to copy over your public SSH keys for access from your machine if you don’t want to use passwords. 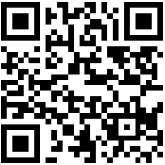 Run this from the machine and user you’ll be pushing changes from (laptop, desktop, another VM etc). Note the password on the screen above for the next command. This should prompt you for the password once, after that you’ll no longer need a password so long as you have invoked your ssh-agent via the ssh-add command upon logging in to your local machine. Now try logging into the machine, with:   "ssh 'repouser@host-01'"
Once you have access it’s recommended to disable password logins going forward. New users can be added by putting their SSH public key inside the ~/.ssh/authorized_keys file on the remote system. Install Git on the remote server host-01. Now become the repouser and create the repo locally and enter it. Now you’ll create the bare repo on the server. At this point you’ll have a bare repo setup, accessible to clone and use via SSH. Now you’re ready to start using the password repository. First you’ll want to clone it somewhere locally like your laptop/desktop. In this example we’ll be cloning it into a directory called website-repo. You should see something like below, also noting it’s currently empty. You now have a Git repo, however you have no branches within it and you need at least one. Let’s create a master branch so you’re ready to add new content. Change directory into website-repo and create an empty file. git commit -m "adding first content"
You should now see something like following, showing you successfully pushed the content. Writing objects: 100% (3/3), 956 bytes | 0 bytes/s, done. Note: In future usage you’ll only need to invoke git push, the origin master command here creates your master branch for the first time only. echo "Pushing new web content"
Let’s look closer at our post-receive command to see what it does. Now you’re ready to test pushing content on your laptop/desktop or remote machine where you previously cloned the website-repo Git repo. git commit -m "testing git post-receive hook"
It’s magic! You get the idea, you can build a lot more advanced functionality inside your post-receive hooks – this is just a very simple example to show you how it works. If you like this rather simple approach to Git-controlled web content management you might checkout Jekyll as a framework to build upon. Git is a great mechanism for managing configuration management code. The branching functionality works very well when aligned to server/resource classification. You can have one codebase across development, QA, staging and production servers and only merge the battle-tested code into production once it’s ready. Building on top of the above illustration you can use software like Gerrit to provide robust peer review and gating to further granularity in how code is scrutinized and approved. Processes like these form the backbone of well-designed infrastructure-as-code and continuous integration systems. 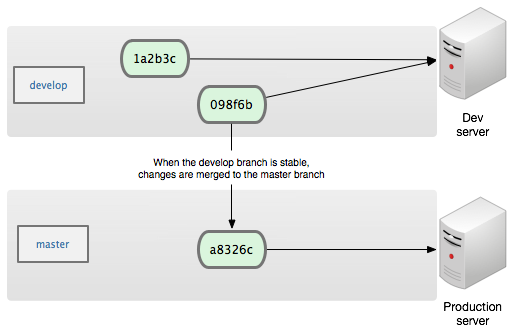 In the above example someone proposes a code change to land across servers driven by a particular Git branch. This change is first reviewed by peers and perhaps a CI system like Jenkins. Once it receives the necessary approvals it’s merged and pulled into your configuration management system of choice and pushed out to the respective servers to take effect. This entry was posted in open source, sysadmin and tagged automation, devops, git, git hooks, linux, post-receive hooks, sysadmin. Bookmark the permalink.